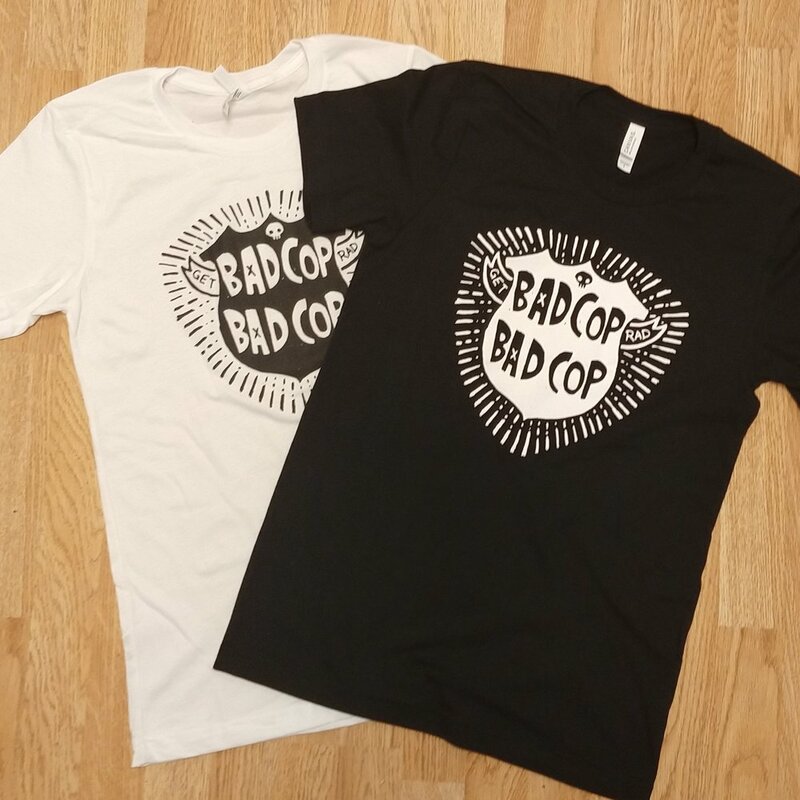 Bad Cop/Bad Cop — STUPID RAD MERCH CO.
Get Rad with the new official Bad Cop/Bad Cop webstore, hosted by Stupid Rad! Do you need more flair? Pick up this Bad Cop/Bad Cop 3 inch embroidered patch. This pre-order will be limited to 20. More patches will not be released until after the BCBC midwest tour. 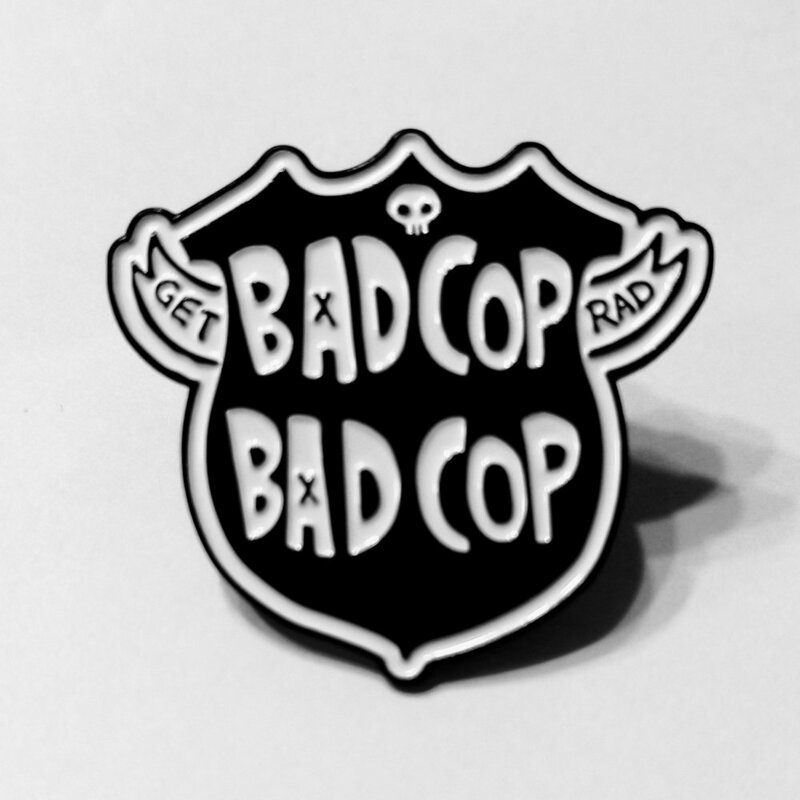 Bad Cop/Bad Cop 1.5 inch “Donut” enamel pin. Your choice of black or white shirt on Bella Canvas ringspun Cotton. Bad Cop/Bad Cop web exclusive “Cristy Road” designed T shirt on soft ringspun cotton.